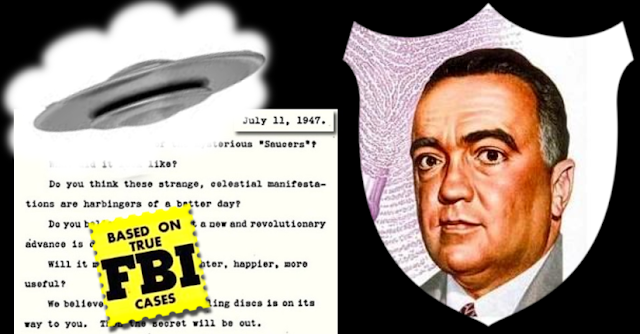 The saucer project attracted screwballs in droves... there were letters. They went into a special file with the cryptic notation "C.P." – for crackpot. We got them by the hundreds. “What Our Air Force Found Out About Flying Saucers"
It’s an excellent biographical piece with insight into Bessor, but there’s even more to his contribution to UFO history that’s worth further exploration. Bessor described himself as “a psychical researcher and student of the mysterious,” but he was also an outspoken prodigious writer, chiefly of letters to newspapers, magazines, Forteans, UFO researchers, and the US Air Force. Today, Bessor is little more than a footnote in UFO history, and few people realize that he presented the first extraterrestrial hypothesis to Air Force UFO investigators back in July 1947. Richard Toronto interviewed Trevor James Constable in in July 1978, the author of They Live in the Sky, the best-known proponent of the notion that at least some UFOs are biological in nature, "space animals" or "critters." However, Constable was careful to point out he was not the first to do so, and said that honor went to John Philip Bessor, whom Constable described as the "grand daddy of the critter theory." Toronto noted that Bessor emphatically insisted, "I am not the grand daddy of the idea, simply the originator!" Bessor’s concept could be called the ETAH, for the Extraterrestrial Animal Hypothesis. Further research found revealed that Bessor had written to the Air Force several times, the first to Project Sign in 1947, a letter that became famous. 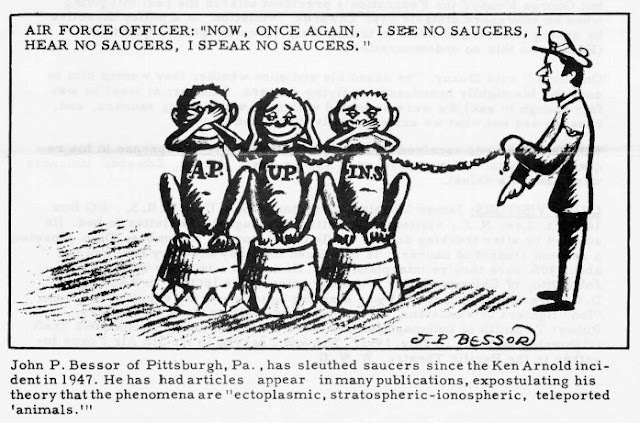 In it, Bessor debuted his controversial hypothesis as to the nature and origin of UFOs, but it was later used by a debunking article in a national magazine to ridicule the public’s interest in flying saucers. John Bessor was interested in paranormal matters at least as early as 1945, as shown by his correspondence with famous UK ghost hunter and psychic researcher Harry Price. 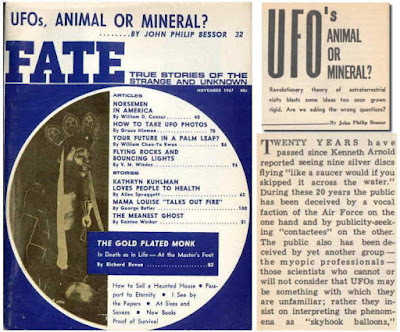 He was also a reader of Charles Fort’s books and Round Robin magazine published published by Meade Layne’s mystic Borderland Science Research Associates, both of which discussed concepts of unidentified flying objects and the possibility of life beyond the earth. When Bessor heard about Kenneth Arnold’s sighting of nine flying saucers, it caught his interest. Studying it along with the other earliest UFO reports, combined with what he’d learned reading Fort, led him to conclude that what people were reporting was unearthly - and alive. He shared his conclusions with the Air Force in a letter in early July of 1947. 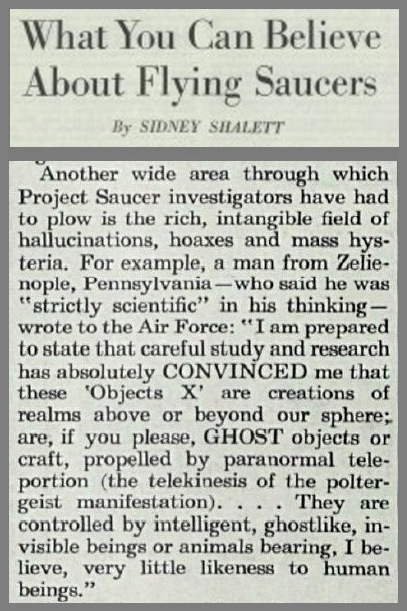 No copy of the original has been located, but portions of the letter were quoted in the magazine, Saturday Evening Post May 7, 1949, “What You Can Believe About Flying Saucers” (Conclusion) by Sidney Shalett. John P. Bessor was not named, but he proudly took credit for it in a letter printed in the Post’s July 2, 1949 issue. The Command has recently assured me that Mr. Shalett's appraisal of it was his own. . . . The only mass hysteria in evidence was manifested by those (since proven in error) who insisted that the "saucers" had no basis in fact. I found, to my satisfaction, by the process of correlation and elimination, that the "discs" are, apparently, extra-terrestrial objects, intelligently controlled by entities more like octopuses, in mentality, than humans. . . .[They] materialize into view more profusely during (cyclic?) recurrences of periods of climatic disturbances, and dovetailing with the meteorological. . . . The 1870s, ‘80s and '90's saw a rash of aerial phenomena. They portend no calamity, and the chatter of the cultists who talk of "masters" and "elder races" can be reasonably dismissed as abstract conjecture. . . . John P. Bessor, Zelienople, Pa.
Bessor then sent a letter to the Air Force’s “Project Saucer” dated July 13, 1949, to tell them about his disappointment and to reiterate his point of view. Interestingly, it contains the only instance of the word “paranormal” we could locate in PBB files. Gentlemen: – I hope sincerely, you do not think I am boring you with my occasional and small contributions. I felt very badly about Shallet’s mentioning my little theory regarding the “saucers”. He certainly had not asked my permission, and I really believe it gave the reader the impression that one takes his life and reputation in his hands to dare write you in confidence, lest he be held up in absolute public ridicule. My “reply“ to Shallet in the Saturday Evening Post’s “Letter” section was, due to deletion and butchering, made quite impotent, -- perhaps in keeping with the joking attitude that the Post writer Shallet inaugurated in his fiasco in titled “What You Can Believe About the Flying Saucers”. Paxton made my “dovetail” into “dovetailing” and made it appear that I had forgotten to begin one sentence with “Then--”. Actually, a sticker for accuracy, I had checked and rechecked my letter before I submitted it to the Post. As things now stand, I am a martyr to my convictions, and only time may vindicate me. Believe you me, I as firmly hold today as I did when I first wrote you in July 11, 1947, that the “saucers” are extra-terrestrial “ghost-objects” propelled by telekinetic energy and caused to remain stationary in mid-air by levitation. Excuse the title of the magazine (I hate the esoteric) but FATE, 139 N, Clark Street, Chicago 2, Illinois, will print my article “The Mystery of Borley Rectory” tentatively scheduled to appear in the November 1949 issue. 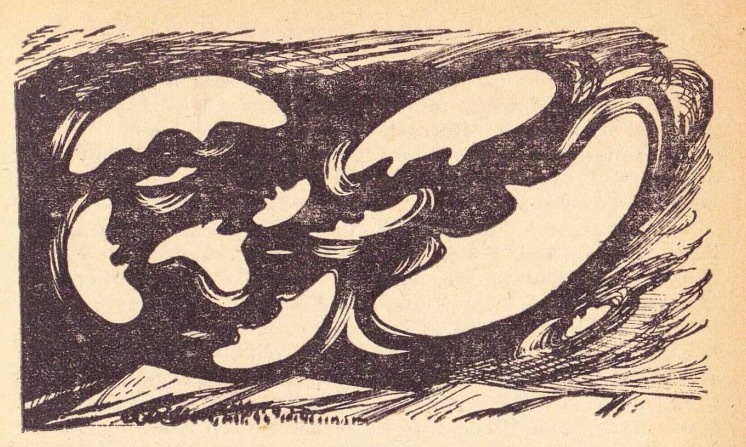 I have, in that article, summarized Harry Price’s findings to the paranormal influence manifested in the Borley Rectory’s hauntings, and you will see why I believe absolutely in the etheric. You may keep the enclosed material. "the possible existence of some sort of strange extraterrestrial animals has been remotely considered, as many of the objects described acted more like animals than anything else." 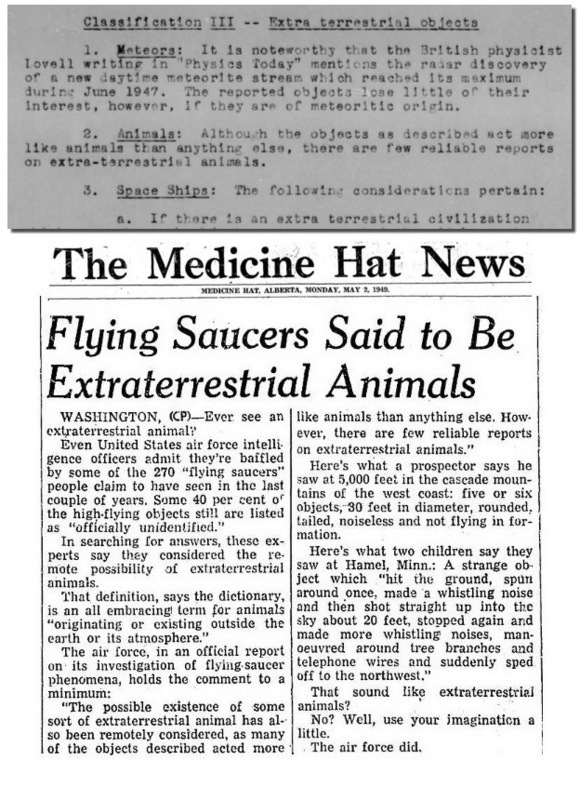 Your Flying Saucer theory was interesting but not new. I evolved it in 1946, after studying Fort's books. Presented it to the USAF July 7, 1947. Haberer of their press and radio section wrote me that it was "one of the most intelligent theories we have received." Briefly, the saucers represent a form of supernormal phenomena - are a sort of "poltergeist-animal'' capable of materialization. Possible propellant: teleportation. I believe they normally inhabit the stratosphere and are forced to fly lower due, possibly, to some cosmic disturbance in space. Not human-form; not people. The official release of April, 1949 quoted part of my theory. Sirs...For five years I have held the theory that these aerial objects represent a highly attenuated form of intelligent “animal” life of extra-terrestrial origin—possibly stratospheric or ionospheric; propulsion apparently akin to teleportation, possibly flight by sheer will or thought. The frequent undulating motion in flight is analogous to the weaving trajectory of observed poltergeist-projected objects. Strange, luminous creatures inhabit the depths of our seas, why not similar creatures of highly rarefied matter in the heights of our heavens, and as diverse in size and shape as living things on earth? 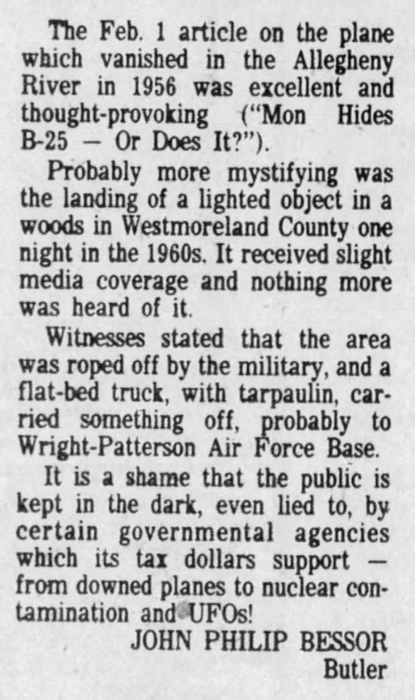 Civilian names are typically redacted in PBB, files, but they missed one reference to Bessor, a listing of the 1950 Philadelphia UFO mentioned in his letter. There’s no case file on the incident, however, just his letter, found in file, “Sandia Base, NM. 29 Sept 50.” True magazine, May 1954 featured, “What Our Air Force Found Out About Flying Saucers,” by Project Blue Book’s former head, Captain Edward J. Ruppelt. It prompted Bessor to write the Air Force with comments, criticism, and a case tip. According to that excellent commentator, Frank Edwards, you have been withholding some “saucer” facts from the public. I plead with you to withhold nothing. You must admit that the Air Force’s contradictions in the past, it’s acknowledgments and it denials, have done it no credit, and have made the thinking public completely suspicious of it. I have just finished reading Ruppelt‘s excellent summation in TRUE magazine. I completely agree with all his statements except that the Air Force has no knowledge of the “landing” of a U.F.O.. I think it most odd that the Air Force spent thousands on tracking down patently fictitious accounts of “little men”, and sublimely ignored the factual accounts of landings of U.F.Os. 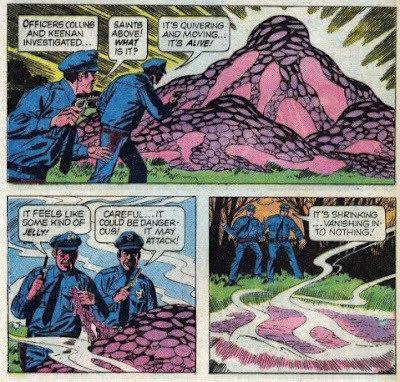 such as the six foot, purple-glowing sphere which gently alighted onto a Philadelphia field, September 30, 1950 (which, when touched by one of the policemen who saw it fall, dematerialized into a sticky film). It appears to me that such accounts smack too much of a supernormal (preternatural) and are hence conveniently excluded from A.T.I.C. files. I note with some interest that you maintain a file initialed “C.P.” into which you dump any and all letters written by those interested in the “flying saucers”. I have received some very “odd “letters in reply to my “saucer” pieces in the Saturday Evening Post and Life magazines, and I can well sympathize with you on this point, but I certainly trust you the good sense to discriminate, and not throw out the weed with the chaff, simply because it is in letter form. Relative to the West Palm Beach fiasco and the Adamski bid for publicity, you should read a 1953 copy (of excuse the stupid title) FATE magazine, you will see where I strongly question the authenticity of both the scoutmaster’s and “Professor” Adamski’s encounters. I can smell a fraud ten miles off. 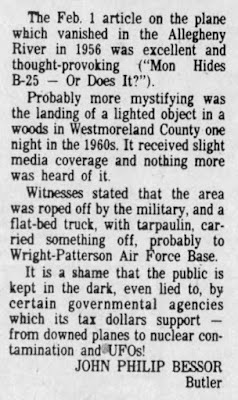 To think that the Air Force spent a fair sum to investigate the West Palm Beach tale. Seems incredible. The West Virginia “monster” appeared to be well worth looking into, but appears to have been shrugged off by Intelligence with a cute remark. Incidentally, Adamski is booked in London halls for his lecture tour this summer. I understand that a fellow SOUTHERN CALIFORNIAN -- is touring the United States describing his trip in a “saucer”. His name: Orefeo Angelucci, -- a little fellow I’ll swear is trying to compensate for a feeling of gloomy inadequacy and boredom in the plastics division of Lockheed Aircraft. It’s easy to see why Bessor took an interest in the Philadelphia UFO, since the peculiar nature of the object fit well with his notions of organic and ethereal flying saucers. However, in repeating the story, Bessor bestowed even more unearthly qualities to the object than found in the witness’ report. 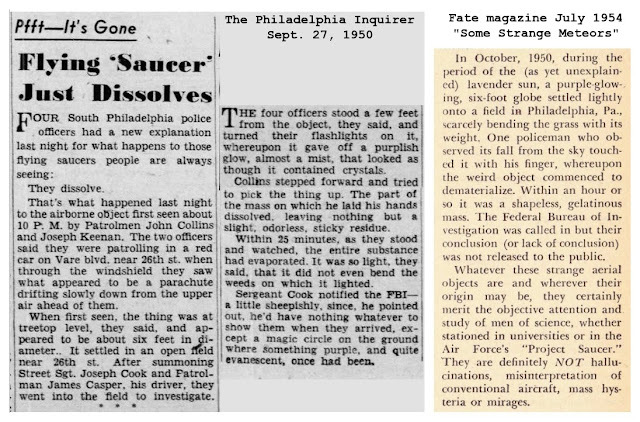 The news was carried on the front page of The Philadelphia Inquirer as "Flying 'Saucer' Just Dissolves,” on Sept. 27, 1950, then picked up and syndicated nationally by the Associated Press. Bessor wrote about the dissolving saucer part of his article, “Some Strange Meteors" in Fate magazine July 1954. 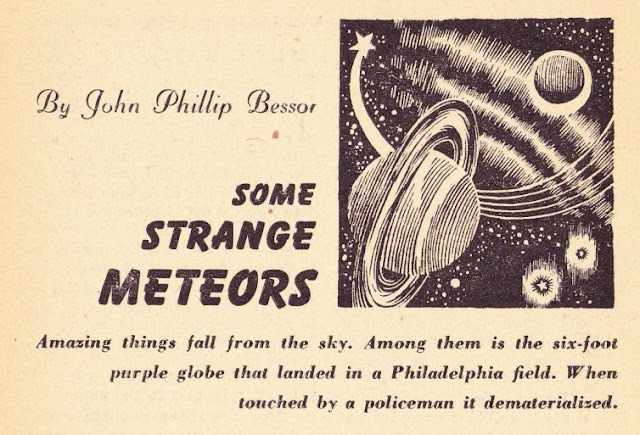 Bessor somehow got the date wrong and exaggerated the details, changing the object from parachute-like into a globe, and changing “dissolved” into “dematerialize.” As “a sticker for accuracy,” Bessor should have checked and rechecked his article before he submitted it to Fate. He mentioned the story several other times with the correct date given, but kept the globe shape. Bessor was a prolific letter writer and corresponded with many Forteans, UFO researchers including: Eric Frank Russell, Vincent H. Gaddis, Harold T. Wilkins, Frank Scully, Leonard Stringfield. It was Bessor who put two of famous friends in touch with one another; Gray Barker wrote to Morris K Jessup in November 1954, “I heard about you from John P. Bessor of Pittsburgh, who said you are writing a book about saucers.” Bessor was also very active in letters of comment to saucer and paranormal publications such as Saucer News, The Saucerian, Flying Saucer Review and Fate magazine. Mr. John (P.) Bessor, of Pittsburgh, has asked me to note that he is the originator of the term aeroform. I have pleasure in doing so, since Mr. Bessor is a pioneer worker who originated the materialization and de-materialization theory in connection with certain types of saucers. Of course, as this book has stated, there are other types of saucers of matter akin to our own. 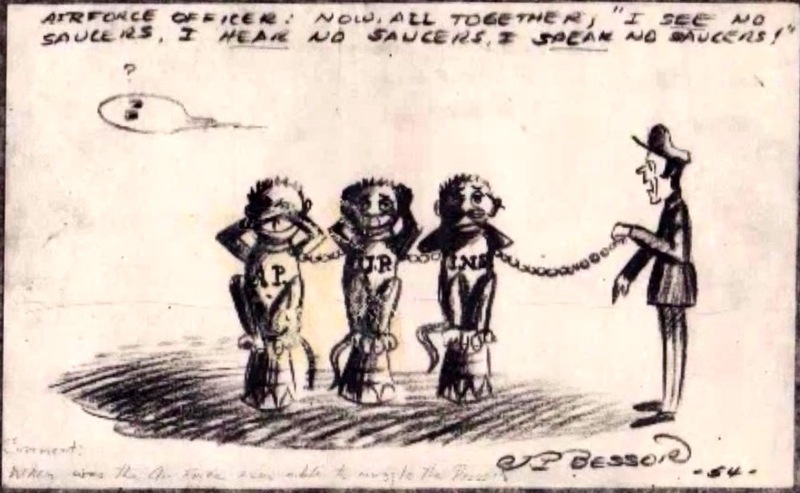 Bessor briefly had a column in BSRA’s Round Robin, and corresponded with Leonard Stringfield, contributing this cartoon to the Sept. 3, 1954 issue of CRIFO Newsletter (Civilian Research, Interplanetary Flying Objects). "Comment: When was the Air Force ever able to muzzle the Press?" I have long been under the impression that the vocal group of the Air Force is perfectly satisfied to see the subject of flying saucers hang itself with the rope of prophesy, carelessly edited periodicals, and science-fiction yarns of "meetings" with etheric guardians, mystical masters, and sultry maids from exotic. planets! This hanging would make it unnecessary for the Air Force to (1) painfully admit the reality of the flying saucers to the public, or to (2) again commit itself foolishly by denying their reality. Bessor was a regular contributor to the early issues of Jim Moseley’s Saucer News (Nexus) and he was briefly listed as a contributing editor. 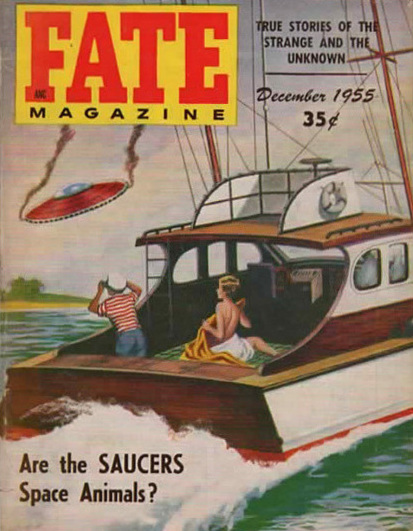 "Flying Saucers Fact and Fiction" was published in Nexus #5, Nov. 1954. There is a saying that Nature abhors a vacuum. If the seas of our earth are swarming with varieties of living things, both great and small, is it not logical to assume that the 'sea' of our sky abounds with sundry forms of living things, likewise both great and small, of varied shapes, but adaptable to their celestial environment? Some may be quite invisible, others translucent, others opaque, still others capable of changing, chameleon-like, from one color to another, from one form to another, from visibility to complete invisibility, all in a moment. Before alien abductions became a popular topic, Bessor speculated that people vanishing could be connected to UFOs. The Fortean Society under Tiffany Thayer had a conspiratorial bent, distrusting authority, government, newspapers and the scientific establishment. some of that rubbed off on the UFO community, and a lot seems to have rubbed off on Bessor. In 1962, Bessor was concerned enough about an issue that he wrote to the Detroit Free Press and Fate magazine about how NASA’s space exploration could destroy souls in Heaven. 1967 was a very good year for Bessor, the 20th anniversary of flying saucers and of his Extraterrestrial Animal Hypothesis, which was being discussed in magazines, books and newspapers. One of the advocates of our animal theory is John P. Bessor, of St. Thomas, Pennsylvania, with whom I once corresponded. He states that he evolved the theory in 1946 and presented it to the Air Force in July, 1947. An officer in the Press and Radio Section, in acknowledging the submission, said it was "one of the most intelligent theories we have received." Gaddis’ section on Bessor was quoted the paperback book, What We Really Know About Flying Saucers by Otto Binder, 1967, and the ETAH was featured as a “new theory” in The Sydney Morning Herald July 23, 1967. ... various species of extraterrestrial, highly attenuated life-forms or craft propelled by telekinetic energy or by sheer will or thought, Possibly originating in the ionosphere, they have been forced to ‘migrate’ to denser atmospheres periodically because of solar or cosmic disturbances. They are capable of changing shape in flight and possess the intelligence of the octopus, porpoise or chimpanzee. 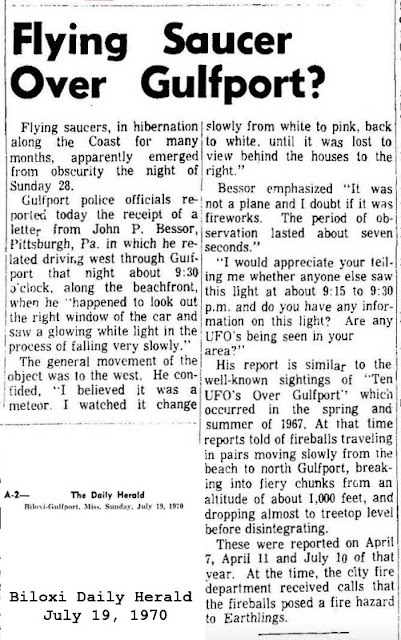 Bessor was primarily a psychic and ghost investigator, but in 1970, he had his own UFO sighting in Gulfport, Mississippi. He wrote to the police there to report what he’d seen, and to find if there had been other reports of it, or information related to it. Much like had happened in 1947, the authorities released his letter, to the press. The ETAH was featured in the comic book, UFO Flying Saucers #3, Gold Key, 1972 as the cover story, “Are the UFOs Living Beings?”, but John Bessor was not cited as the originator of the concept. September 30, 1950 was also included. Bessor's last known writing related on the UFO topic was a 1981 newspaper letter to the editor. He didn't mention space animals, but was still fuming about a UFO cover-up by the US government. What’s a bit odd with John Bessor’s outlook is that he embraced the idea of the supernatural, and wrote many articles on ghosts, yet he had a negative opinion of the “esoteric” and “of the cultists who talk of "masters... elder races." 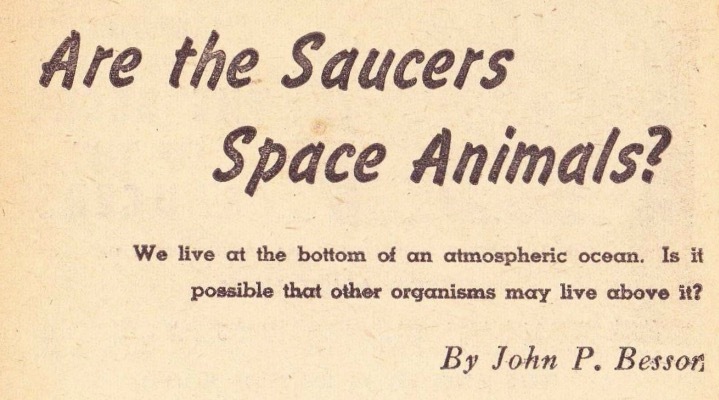 In later correspondence and articles he seems very skeptical and pragmatic, condemning the Contactees, and crashed saucer stories, but throughout his life held on to the conviction that UFOs were really ghostly space animals. Bessor subscribed to Psychic News, “the spiritual newspaper” from the UK, and contributed at least one article to them. He’d also written for Meade Layne’s Borderland Science Research Associates, but while Bessor embraced the paranormal, but rejected occult notions of Theosophy about extraterrestrials entrusting knowledge to a chosen few. Maybe he thought it smacked of clubhouse and fraternity ethos and elitism. Bessor was more aligned with the brand of paranormal promoted by Frank Edwards and Harold T. Wilkins, who both wrote about general mysterious happenings and not just UFOs. Bessor was a fan of Frank Edwards’ syndicated radio show, “Stranger than Science, ” and of Edwards books that followed covering the same type of material, ghosts, phenomenon and UFOs. That was more Bessor’s style, that the world was full of strange and unknown things, but we were our own masters. The ETAH or Extraterrestrial Animal Hypothesis never caught on the way the notions of interplanetary or interdimensional origin for UFOs did. It’s no more outlandish, but perhaps it was a bit too alien a concept, more disturbing than the notion we are being visited by humanoids who are much like us. There are countless sightings of objects that changed size and shape... Over and over again, witnesses have told me in hushed tones, "You know, I don't think that thing I saw was mechanical at all. I got the distinct impression that it was alive." 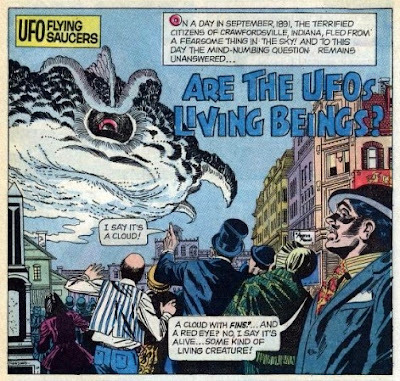 Researchers such as John Bessor and Ivan T. Sanderson have openly discussed the possibility that some UFOs may, indeed, be living creatures. It's a mixed bag. You can take your choice. Every belief can supported to some degree, but in the final analysis, when you review all of the evidence, none of them can completely proven beyond a reasonable doubt. 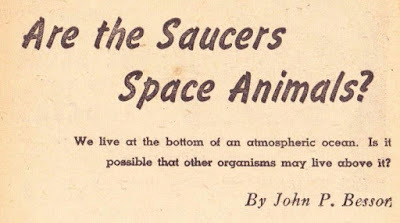 John Bessor’s hypothesis may seem ridiculous to people today, but remember he grew up with a belief in the supernatural, just as many of us now have grown up believing in extraterrestrial spaceships. Bessor was also working with limitations of information and the reach of science at the time. We’re not much better off seventy years later, and there’s still far more that remains unknown than known. In time, our present-day notions of what is behind UFOs may turn out to be no more accurate than the 1947 Extraterrestrial Animal Hypothesis by John P. Bessor. 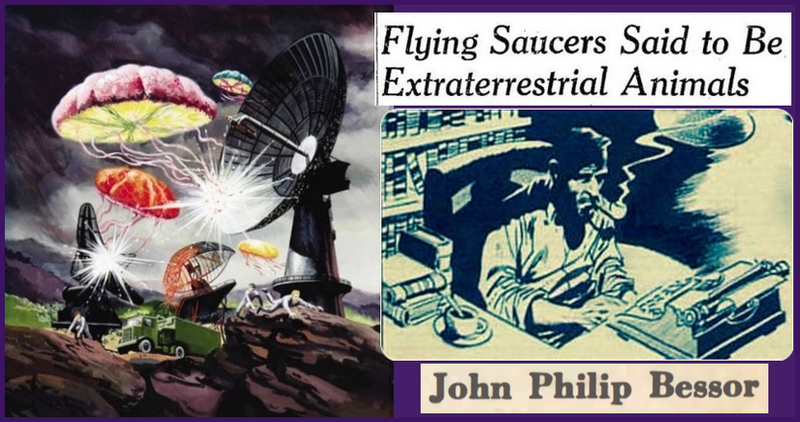 I read with interest the account of the "flying saucers" seen in Oregon, Texas and New Mexico. I promptly dusted off that highly interesting work, the books of Charles Fort, and re-read the various accounts compiled from newspaper and magazine articles of odd things seen in the sky. 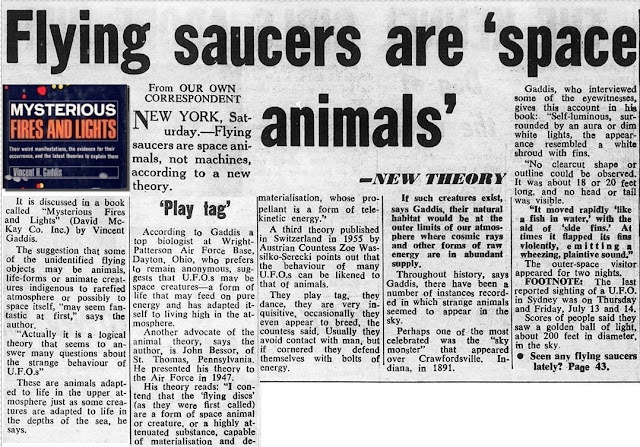 It will interest the readers of your paper to learn that “flying saucers” were observed by dozens of persons, on dozens of occasions, during the latter part of the last century and the first part of the Twentieth Century. Several sea captains have observed immense luminous "hub and spoke" constructions slowly revolving, at great depth, beneath their ships in the Mediterranean Sea. As jet propulsion and radio controlled craft were unknown in those days, it is sensible for us to take these things at face value and consider the great probability that these odd sky craft are interplanetary constructions. It is interesting to notice how often these craft are seen during periods of climatic disturbances or appositions of Venus and Mars! The language, attitude and and content sounds very much like J.P. Bessor, who lived in Zelienople. Something I just remembered since I posted last night. Bessor's basic idea may have been inspired by Sir Arthur Conan Doyle's short story "The Horror of the Heights", published in 1913. The plot is hinged on the discovery that strange creatures live in the atmosphere at high altitudes above the Earth. Right, and it's covered briefly in part two, "Charles Fort, Ken Arnold & Space Animal UFOs, coming March 1st.